A collection of dirty mugs is not the only sign that the vitality of your staffroom may be under threat. Julia Watson provides some tips for a healthier environment. A happy, healthy staffroom is at the heart of an effective team, providing safe haven, a place of camaraderie and connection. Sadly though, this is not always the case. Some staffrooms can become ‘toxic’, detrimental to a school’s positive ethos as colleagues fall into bad habits and unprofessional conduct. Here are some of the markers of a toxic staffroom, and how you can work towards a more cordial environment. Every staffroom will have one or more: a staff member who moans about everything, constantly. They’ve often been at the school a long time – sometimes in the same chair for decades. If the moaner finds others with the same mindset, this can be especially harmful to the atmosphere in the staffroom. If you need to, have a moan, talk about your day and then move on (or better still, take the appropriate action). Moaners can feel underqualified and underconfident. They might need support in finding their career ‘mojo’ again. Encourage staff to focus on the positive aspects of their day, through role modelling and problem solving. Sometimes a fact-finding visit to another school is enough to remind them that the grass is not necessarily greener. For more information about happiness and productivity, see ‘The happy-productive worker thesis revisited’ by J. M. Zelenski. It is not ok to make personal or derisory comments about colleagues. I have witnessed some brutal ego slayings over the course of my twenty-year career. It appears to me that the more challenging the environment, the closer-knit the team (and the more brutal the insults that fly). Staffroom ‘banter’ is one thing. Personal, unpleasant or highly critical comments about colleagues in the staffroom are another thing entirely. If inappropriate personal comments are made in your staffroom, it is important to deal with them swiftly and effectively. A headteacher friend of mine took direct action in the following way. Remind the individual that the staffroom is part of the workplace and that you expect professional conduct. Explain exactly what comments are not acceptable (verbatim if possible). Point out that personal comments are a form of bullying and as such, will not be tolerated. Explain the next steps if the behaviour were to continue. Michael P. Leiter and Christina Maslach co-wrote an interesting study on the ‘Impact of interpersonal environment on burnout and organizational commitment’ (Michael P. Leiter, Christina Maslach, October 1988). In the study, they monitored the effects of different types of interaction (pleasant/ unpleasant) in a professional context. Unsurprisingly, they found that pleasant interaction leads to a happier and more committed workforce. mugs on a radiator in the classroom, growing penicillin. 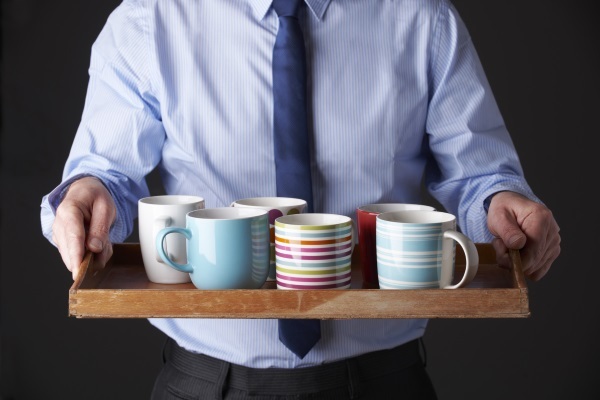 Keep your staffroom clean and functional in the following ways. Gone are the glory days of the tea lady or man. Get a dishwasher. I repeat, get a dishwasher. Yes, some schools still don’t have one! Arrange a rota to throw away all out of date food left in the fridge on a Friday, and fill or empty the dishwasher. Role model ‘good behaviour’. I know one headteacher who regularly empties and fills the dishwasher, thereby demonstrating that it's everyone’s responsibility. Provide pleasant facilities. The nicer the environment, the more likely it is to be cared for. A tidy, organised staffroom is a pleasant place to be. Ricardo Mateo’s study into the ‘Effects of tidy/messy workplace on human accuracy’ deals with some interesting relevant variables, including caffeine consumption. He found that an untidy environment can have a significant negative impact on the productivity and decision-making of conscientious employees. The staffroom is a communal space, and maintaining it is everyone’s responsibility. A healthy, happy staffroom provides a place for empathy, support and even fun, with the added bonus of being great for performance, productivity and motivation. The Wellbeing Award for Schools will lead you through a process of self-evaluation, action planning and accreditation.